Ralph Lauren selects his 10 favourite ties from the earliest years of his brand to create a limited edition collector’s set, available to purchase exclusively through The Rake. In a fashion world so fickle, where centuries-old fashion houses are exchanged between Chinese conglomerates like football cards in a playground and creative directors are turfed out after one poorly received collection, it is hard to believe that one man has managed to keep his place at the industry's top table for 50 years. Not only that, he has built an empire in that half-century, an empire that has never had to be reinvented season after season but one that has organically evolved so as to always be at once contemporaneous, forward-looking and respectful of heritage. 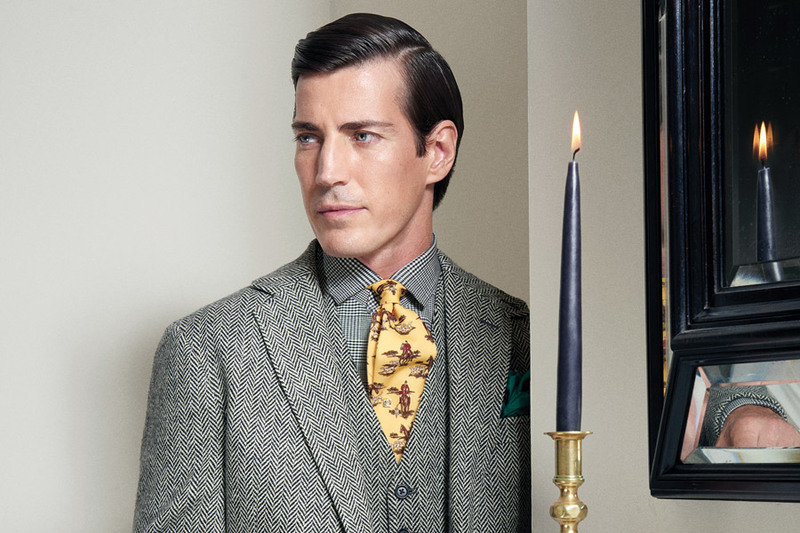 Ralph Lauren is, in short, a maverick and a talisman of menswear. For Lauren, who never actually attended a fashion school, it all began with the tie. "Fifty years ago when I was working for a well-established tie company headquartered in Boston, I asked them for a chance to create my own line," he says. "They gave me a drawer in the Empire State Building to sell from, and although I was alone, I was on my own. I went out and found fabrics in all kinds of places. They were untraditional, flamboyant, even dandified. I loved the look of the wide tie. My inspirations were the stylish characters and movie stars I’d seen from the 30s. I found a small manufacturer to make the ties, and I remember one Thanksgiving sitting in the warehouse sewing on the labels with my wife Ricky and her parents. On the label was the name - Polo. It had a sensibility that was sporty and international. It was stylish and had an imagery that represented the lifestyle of ties and eventually the clothes that were to follow. I delivered them myself navigating my vintage Morgan through the streets of New York City, wearing an old bomber jacket and jeans. It wasn’t just about a tie; it was a commitment to myself to do what I loved and give it my all. It was exciting and that tie grew into a whole industry—a whole world." From acorns then, do mighty oaks grow, hence why this extremely limited edition heritage tie collection (only 67 pieces made) is so special. Presented in a beautiful fold-up suede case with a leather buckle fastener, the 10 ties within have been personally selected by Ralph Lauren. They include a patchwork tie, heraldic club tie, wool tartan tie, fox hunt challis tie, gamebird challis tie, ancient madder equestrian tie, ancient madder paisley tie, tapestry jacquard tie, polo player tie, and gamebird jacquard tie, the heritage and details of which are all described in a booklet contained within the case. Shop this very special collector's item, and learn more about the collaboration, here.